Located on the Strand Quay in Rye, overlooking the River Tillingham. Rye Heritage Centre was established by the Town Council in 1990 and – incorporating Rye Tourist Information Centre – was run successfully with the support of Rother District Council, until March 2005. However, in autumn 2004, the District Council decided to cut its contribution towards Rye Tourist Information Centre by 40% from £50,000pa (index linked) to £30,000pa (index linked), effective from 1 April 2005. The Town Council had, on numerous occasions, demonstrated to the District Council that even £50,000 was insufficient to meet the costs associated with running one of the busiest Tourist Information Centres in the South-East but Rother refused to reconsider its position. 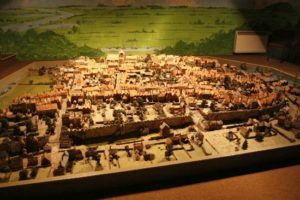 Although committed to ensuring the continued provision of a high quality tourist information service, the Town Council decided that it could not subsidise further the TIC from Heritage Centre surpluses. However, at the ‘eleventh hour’, members of Rye Hotels & Caterers’ Association stepped in and set up a new company, Rye Town Services (RTS), with the principal objective of running Rye TIC. 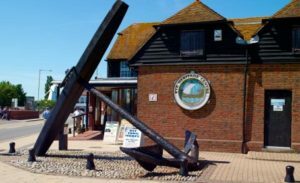 In April 2005, Rye Town Council entered into a partnership arrangement with Rye Town Services which saw Rye Town Services acting as the Council’s managing agent at the Heritage Centre for an initial one-year period. Rye Town Services entered into an agreement also with Rother District Council which agreed to pay the new company £30,000pa to continue to provide a Networked Tourist Information Centre. The arrangement – which was supposed to have resulted in the Town Council receiving (at least) £5,000pa from RTS – continued until 31 October 2008, when RTS breached its contract with the Council by withdrawing from the Centre during a period of notice. No longer trading, RTS left a number of creditors – including the Town Council which is still owed c£17,500. The Centre has been much improved since its inception in 1990 – notably the addition of a second extension and internal upgrade in 2001-02, funded largely by a Single Regeneration Budget (SRB) grant, through the South-East England Economic Development Agency (SEEDA). The Rye Heritage Centre today is run by Rye Town Council under the management of Louisa O’Shaughnessy. It continues to house the Rye Town Model (a sound and light show based on a scale model of the town), a gift shop, audio tours and delightful Old Pier amusement machines.